Water restrictions will be in place in Athlone, Co Westmeath, tonight in order to allow water levels in the Annagh Resevoir to increase. Irish Water and Westmeath Council have issued an advisory that night time water restrictions will be in place until 6am tomorrow. They say this step is necessary to ensure customers have a water supply to their homes and businesses during daytime hours. The water restriction will be in place from 10pm today until 6am tomorrow. It will impact customers in Athlone Town, Baylin, Mount Temple, The Ories, Garrycastle, Dublin Road, Ardnaglug, Fardrum, Moydrum, Blyry, Killyon Hill, Bonavalley, Athlone and surrounds in Co Westmeath. 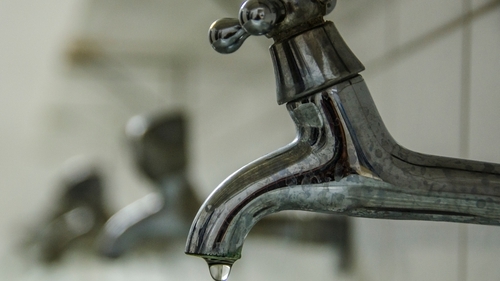 The water supply will be restored to customers as the network refills, which can take a number of hours once the water supply is turned back on, especially for customers on higher ground or at the end of the network once the water supply is turned back on. Irish Water says it expects supply will return to customers between 6am and 8am as the water returns to the network. A customer care helpline is open 24/7 on 1850 278 278 and customers can also contact Irish Water on Twitter @IWCare with any queries.